My name is Judy, I live in Sydney Australia. I’ve always had an interest in textiles, but family, work and study (computer science) were my focus for many years. 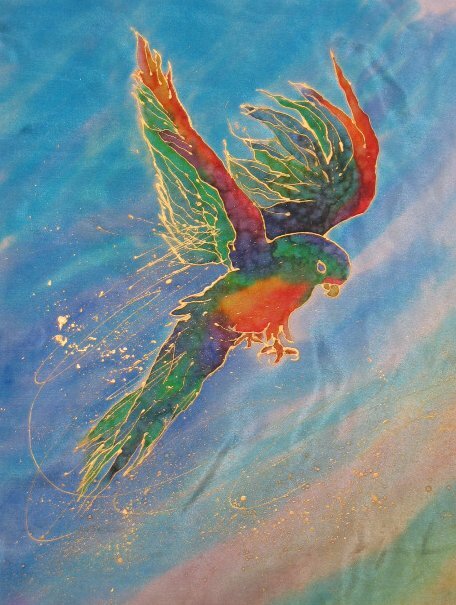 In 2003 I took some silk painting classes with Robyn Carver at the local community centre. I loved watching the flow of colour across the lustrous silk. I expanded my search to other ways of colouring cloth. 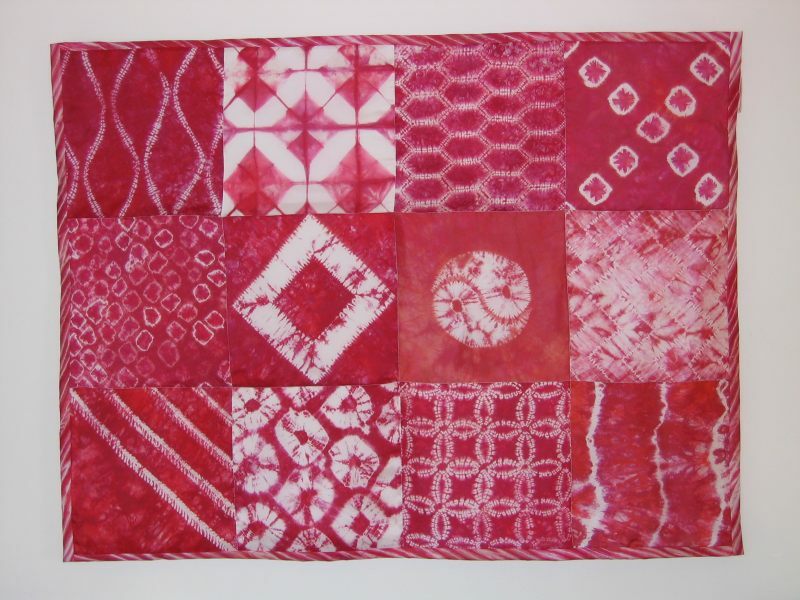 Shibori offers a huge range of methods to compress cloth and create patterns of resist in dyeing. More classes, this time with Marion Boyling, helped to extend my skills and were my first introduction to ATASDA members. 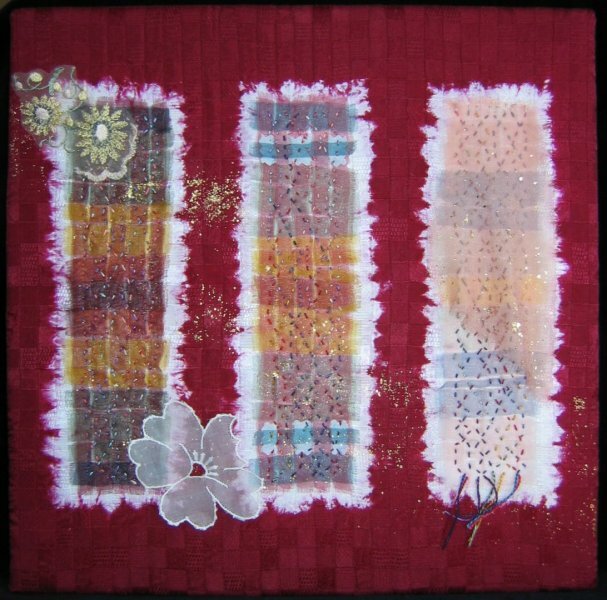 2005 saw experimentation with stitching. 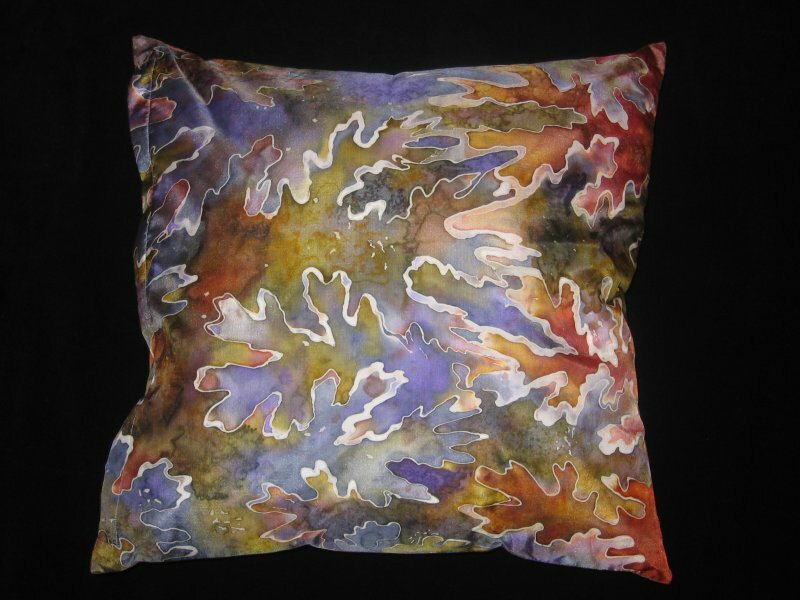 I started going to ATASDA meetings and workshops, building up my “toolbox” of textile techniques. One piece from that time foreshadows on-going preoccupations. Life Weaving was an entry for an ATASDA exhibition and includes woven strips of fabric and themes of family and bellringing (another hobby). 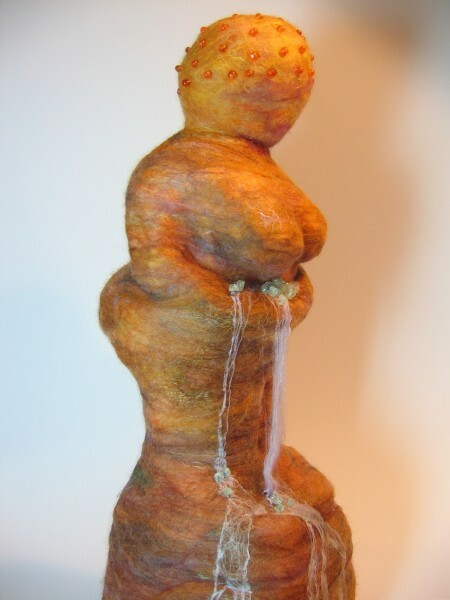 Felting was the next focus. 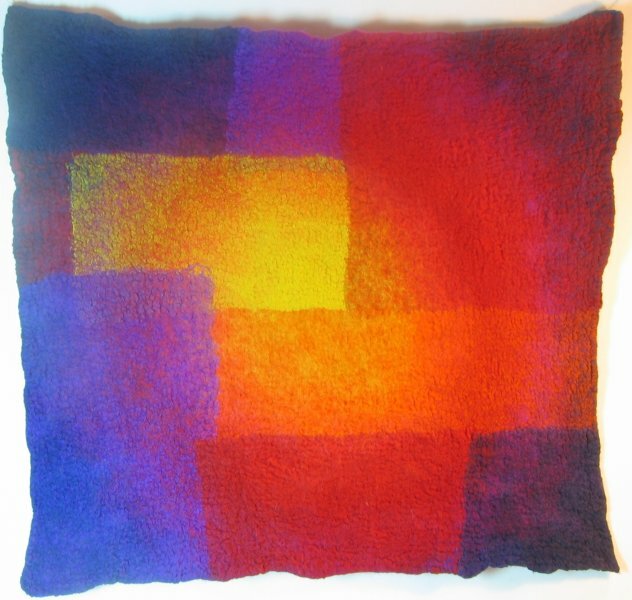 This allowed a new complexity in colour exploration, laying merino fibres and silks that I dyed before or after felting. I attended many classes with talented women such as Fiona Wright, Bronwyn Hunter and Jorie Johnson. Two years on, I remained absorbed by weaving. There was no looking over fences to see what else is going on, no “I must try that one day” itch. Before, I had had no idea that “weaving” was such a huge world. I could include my dyeing, stitching, felting, even my computer skills and bellringing methods! My good fortune with teachers continued, with Liz Calnan’s weaving classes at NSW Handspinners and Weavers. Geoff, my wonderful husband of 28 years, supported, encouraged and was and is enormously proud of himself for “twisting my arm” to buy a 24 shaft Noble loom. The outcomes of those two years are summarised here. The learning and experiments continued, with my progress to August 2011 reviewed here. Weaving has continued to be my major focus, with the occasional venture out. It still feels like everything I learn just lets me glimpse a little more of that incredibly vast and expanding world. Literally endless possibilities (and only one finite life). 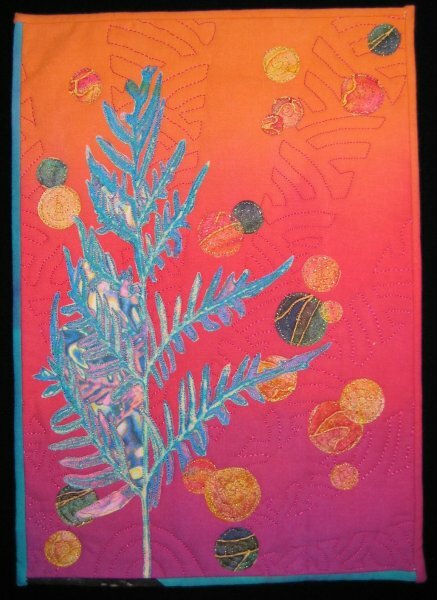 In August 2011 I began a new challenge – distance learning in textiles with the Open College of the Arts. 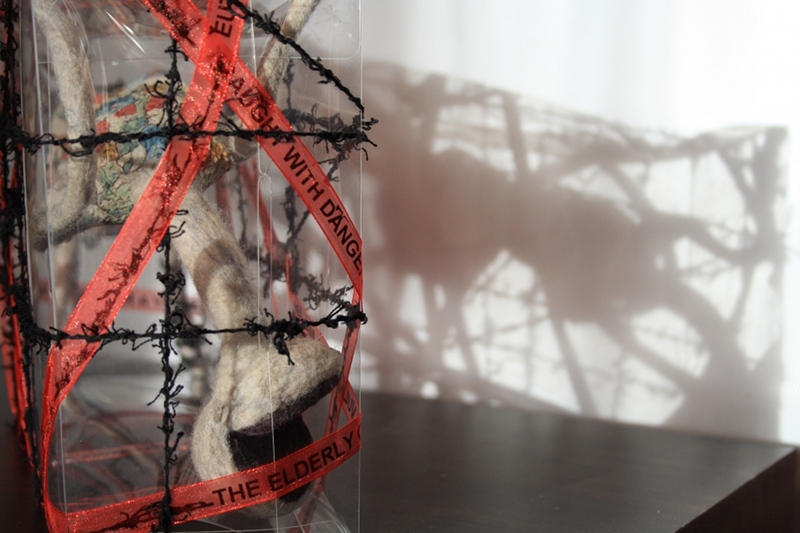 Textiles 1: A Creative Approach took me almost 19 months to complete and was even more challenging and fulfilling that I expected, culminating in my own piece on the theme of Ageing. A navigation page covering that course is here. In March 2013 I enrolled in Understanding Art 1: Western Art (navigation page here), and in November 2014 moved on to Textiles 1: Exploring Ideas (navigation page here).